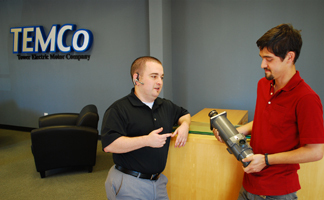 Contact TEMCo - Need help or have questions? Our technical sales engineers will be happy to provide you with answers to any questions you have about soft starter sizing and applications. Call us at 877.474.8209 Monday to Friday, 6am to 6pm Pacific Standard Time (PST).